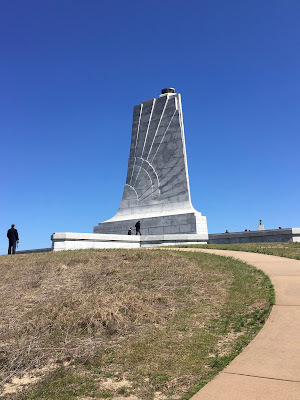 One of the primary reasons for visiting Kitty Hawk and the Outer Banks, especially this time of year was to tour the Wright Brothers National Memorial. Early March is not the best time to plan on getting a lot of beach time. Though my Bride and I did manage a walk on the sand, with the sea wind to our backs. 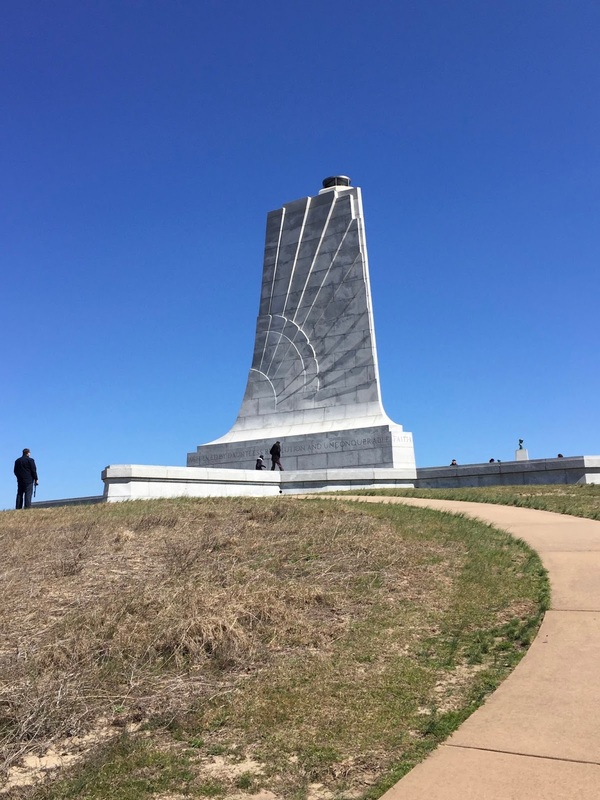 Kitty Hawk was the location of the first manned flight of an heavier than air aircraft. This happened on the cold, windy, and lonely dunes of the Atlantic coast. A significant piece of world history for sure. However it wasn't until I listened to the interpretive Ranger explain what happened on that cold day in December of 1903 that I understood that what happened was much more. Orville and Wilbur Wright were self taught engineers, digesting information from other's work, incorporating that into their own theory and design. Only after several years, and a thousand flights using innumerable models from the top of Kill Devil Hill did they succeed. There is a large granite marker, called the First Flight Boulder at the end of a 60 foot runway/rail which marks the start, and another small monument 120 feet to the north that marks the end of that 1st 12 second flight on December 17, 1903. These are followed by markers for the second, third and fourth flight that day. The Ranger talked about how many see the First Flight Boulder as only a memorial to that first manned flight. Although he talked about how he also sees it as a tombstone. 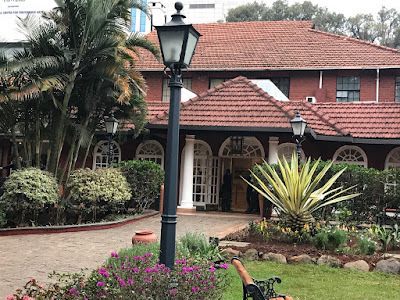 A tombstone for the death of impossibility. Because until that day most people on earth believed that it would be impossible to rise into the air and fly like the birds. But when Orville took that first 12 second flight, impossibility died. And in a real sense, everything became possible. Between that first flight and today man has walked on the moon. And with enough knowledge, imagination, work and thought everything and anything is possible. I like that idea. Sunday morning marked the beginning of Daylight Savings Time (much to the irritation of my sweet Bride), AND a full moon. I so much wanted to capture an image of the 60 foot Wright Brothers Monument atop Kill Devil Hill, with the full moon in the background. I would also like to tell you that the weather prohibited me from getting that image. Or, that the angle was all wrong. Or that my iPhone was not up to the task. I would love to have any of those excuses. But the truth is that AIROSMITH was just too comfortable, and I remained inside with another glass of wine.